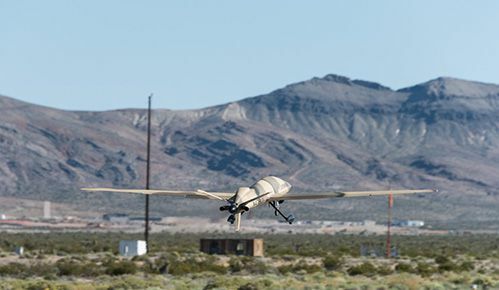 LAS VEGAS, Nev. – Two state-of-the-art unmanned aerial systems (UAS) have been purchased as part of a research and development program at the Nevada National Security Site (NNSS). According to NNSS officials, the research and development is designed to expand the development of sensor technology for unmanned aerial systems and enable scientists to further the capabilities of current systems. 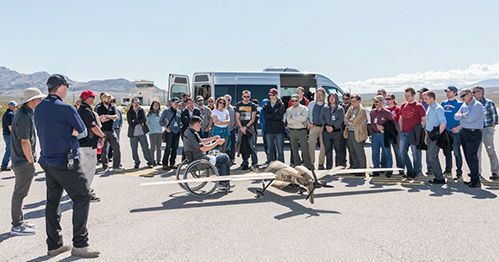 NSTec acquired the two Sandstorm UAS platforms from Unmanned Systems Inc. (USI), a company based in Henderson, Nev. USI is a small company with a variety of state and federal customers. The Sandstorm UAS platforms are small to medium-sized, and can carry a payload up to 20 pounds. With the purchase, NSTec becomes a “full user” of UAS technologies. In December 2013, the Federal Aviation Administration (FAA) named Nevada as one of the six FAA authorized test sites for unmanned aerial systems. NNSS officials were instrumental in supporting Nevada’s successful bid for the FAA Test Site designation, and continue to work with the Nevada Institute for Automatous Systems (NIAS) to further the UAS initiative in the state. The NNSS was selected because it has the potential to be a premier testing, evaluation and training facility for UAS platforms. Successful UAS activities have already been conducted at the site by other federal and commercial entities as a part of a Strategic Partnership Program in which NSTec is involved. The NNSS overall mission includes emergency response, national security, defense applications and experimentation; nuclear weapons stockpile stewardship, and environmental management. Daniel Blumenthal, program manager of NNSA’s Consequence Management Program in Washington, D.C., supports the research into using unmanned systems for radiological remote sensing. "The ongoing aerial measurements collaboration between the United States and Japan after the 2011 Fukushima accident has demonstrated the expanded need for such measurements and the value of research into adding UAS-based methods to the well-established aerial measuring systems." In Nevada in April 2016, representatives from 12 foreign countries exchanged technical ideas and information regarding the usage of unmanned systems for emergency response and remediation missions. Japan provided insightful information regarding the operational usage of unmanned systems for continuous monitoring after the Fukushima accident. As a part of the Technical Exchange, a UAS demonstration flight was conducted at the NNSS to display the system’s capabilities. “The acquisition of the UAS platforms is a big step forward,” said Karen McCall, UAS program manager for NSTec. “In a few years, we will look back and realize how we have expanded our national mission. We are looking at a multi-modal approach for data fusion of a variety of sensor technologies from radiological, imagery, and other interesting remote sensing systems. Included in the contract with USI is training, service, and maintenance. The FAA requires all commercial UASs to be flown by a licensed pilot. 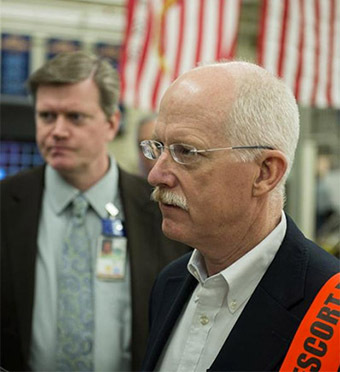 McCall said seven NNSS team members have been placed in the training, including pilots, engineers and mechanics. (NNSA PRESS RELEASE) WASHINGTON, D.C. – On April 26, the Department of Energy’s National Nuclear Security Administration (DOE/NNSA) conducted the fifth experimental conventional explosion as part of its Source Physics Experiment (SPE) series. The SPE series, conducted at the Nevada National Security Site, improves the United States’ capability to detect and characterize underground nuclear explosions. By conducting the experiments near the location of previous underground nuclear tests, researchers are able to better compare data from conventional and nuclear explosions. This helps to advance the United States’ capability to differentiate low-yield nuclear test explosions from other seismic activity such as mining operations and small earthquakes. Having this advanced capability helps to identify whether state or non-state actors are hiding low-yield nuclear testing to develop or improve nuclear weapons. “The Source Physics Experiment series and NNSA’s ongoing research and development at our National Laboratories are key to strengthening our national security by advancing technical solutions for treaty monitoring by the United States and its partner nations,” said Anne Harrington, NNSA Deputy Administrator for Nuclear Nonproliferation. This fifth experiment, known as “SPE-5”, used chemical explosives equivalent to 5,000 kilograms of TNT detonated 76 meters underground. Information is gathered on SPE-5 through a variety of technologies, including high-resolution accelerometer, infrasound, seismic, explosive performance, high-speed video, aerial-based light detection and ranging, drone-based photogrammetry and synthetic aperture radar data. Seismic data from the SPE series are shared on the Incorporated Research Institutions for Seismology website at http://www.iris.edu/hq/ for researchers around the world to analyze. The SPE team is composed of researchers from the Nevada National Security Site, Los Alamos National Laboratory, Lawrence Livermore National Laboratory, Sandia National Laboratories, as well as the University of Nevada-Reno, Weston Geophysical Corp., and the Department of Defense’s Defense Threat Reduction Agency. Stuart Rawlinson, left, of the Nevada National Security Site, explains the layout of the “P” Tunnel complex to Ambassador Henry Ensher, center, Chargé d’Affaires U.S. Mission to International Organizations in Vienna and others. The “P” Tunnel was used during underground nuclear explosive testing, which ended in 1992, by the Defense Threat Reduction Agency to understand the effects of radiation on military hardware and equipment. Ambassador Henry S. Ensher, the top U.S. diplomat at the to International Organization United States Missions in Vienna, Austria, recently visited two facilities to understand NNSA’s mission better: the Y-12 National Security Complex and the Nevada National Security Site (NNSS). At Y-12, he got an up-close look at the nuclear operations that help provide the backbone of U.S. national security policy. “Seeing firsthand Y-12’s infrastructure and activities in support of stockpile stewardship, I can say categorically to the public and to our foreign colleagues in Vienna that when we say our nuclear weapons stockpile is safe, secure and effective, we really mean it,” said Ensher, who assumed his post as the U.S. Chargé d’Affaires in Vienna in July 2015. 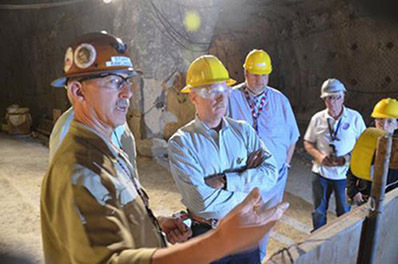 While at NNSS, Ambassador Ensher visited additional stockpile stewardship support facilities and those used for NNSA’s nonproliferation missions, including a facility once used for underground nuclear explosive testing – the “P” Tunnel complex. The United States discontinued such testing in 1992. The work NNSA’s nonproliferation programs perform at NNSS helps strengthen the nonproliferation regime, including the work of the Preparatory Commission for the Comprehensive Nuclear-Test-Ban Treaty Organization and the International Atomic Energy Agency. 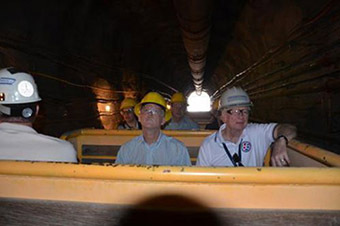 Ambassador Ensher, left, sits next to Jim Holt, President, National Security Technologies, as they and others travel by railcar into the “P” tunnel at the Nevada National Security Site. Ambassador Ensher visited the site to gain a better understanding of the role and mission of the site in science-based stockpile stewardship and nonproliferation activities. “P” tunnel was once the site of underground nuclear explosive testing. The United States has not conducted an underground nuclear explosive test since 1992. Ambassador Ensher stands inside a line-of-sight-pipe used for the Distant Zenith underground nuclear explosive test in 1991, in the “P” Tunnel at Nevada National Security Site. 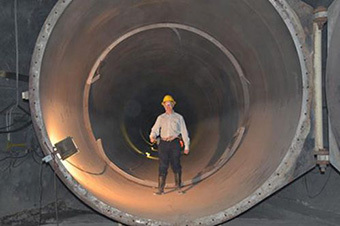 The pipe is 12-feet in diameter where Ambassador Ensher is standing. Military hardware and equipment were, at one time, located inside the pipe and were exposed to a prompt burst of radiation. Ambassador Ensher visits Y-12 National Security Complex.